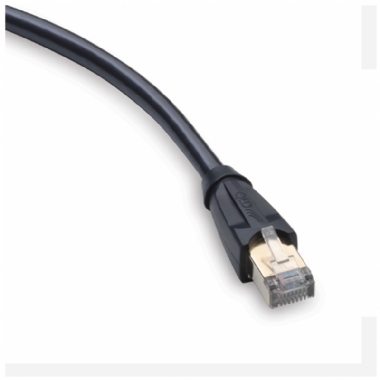 Most ordinary patch cables are constructed to the Cat5e standard and are only specified for data rates up to 100MHz. The QED Performance Ethernet cable is an over-specified CAT6 patch cable capable of data rates up to 250MHz - which gives it plenty of headroom when used in an HD Audio streamer application. A polyethylene former is used to physically separate each twisted pair into its own compartment within the cable keeping the geometry extremely uniform. This further contributes to the elimination of cross-talk within the cable and maintains the tight 100 ohm characteristic impedance demanded by the Cat6 standard.